In October 2014, I lead my first ODP safari to Elephant Plains – a lodge on the northern tip of the Sabi Sand Game Reserve in the Great Kruger National Park. I had heard that it was a good place to photograph leopards, but I had heard wrong… it’s a fantastic place to photograph leopards! Dominant male, Lamula, stretches after a morning snooze on a dam wall. 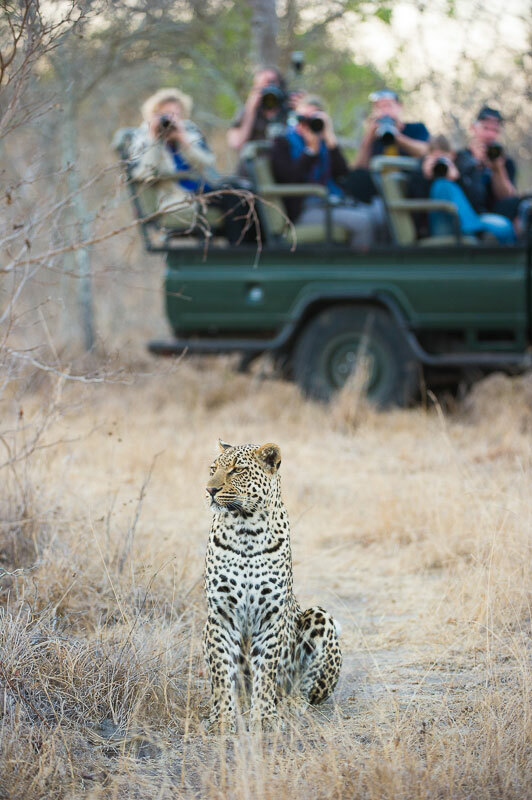 Our guests arrived at the lodge on a Saturday afternoon and by the time they departed four days later they had seen ten different leopards – that’s more than most people see in a lifetime! By the time the second group of guests (who also stayed for four days) had left, our tally of unique leopard individuals stood on fifteen. Thandi surveys the surroundings from high up in a marula tree. 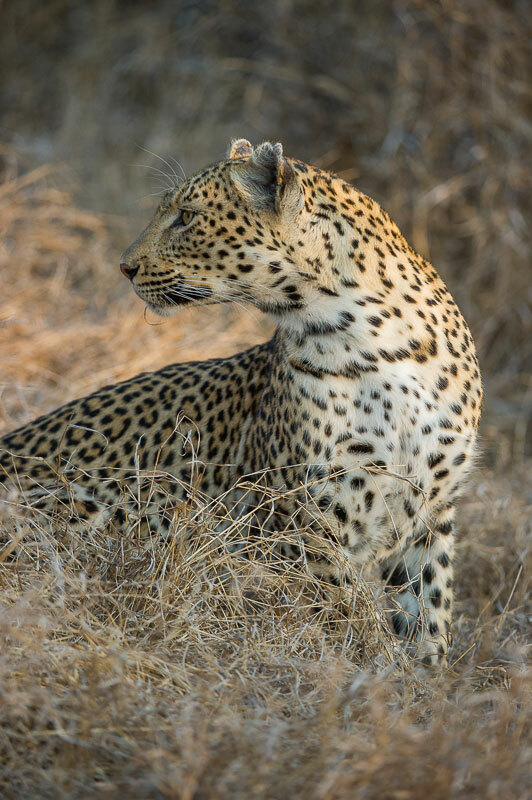 Amazingly they were able to take stunning photos at almost every sighting (leopards elsewhere have a habit of disappearing as quickly as they appear), each of which was quite different from the ones before. We saw leopards on the ground, leopards in trees, leopards feeding, leopards sleeping, leopards interacting with their cubs, leopards marking their territory. 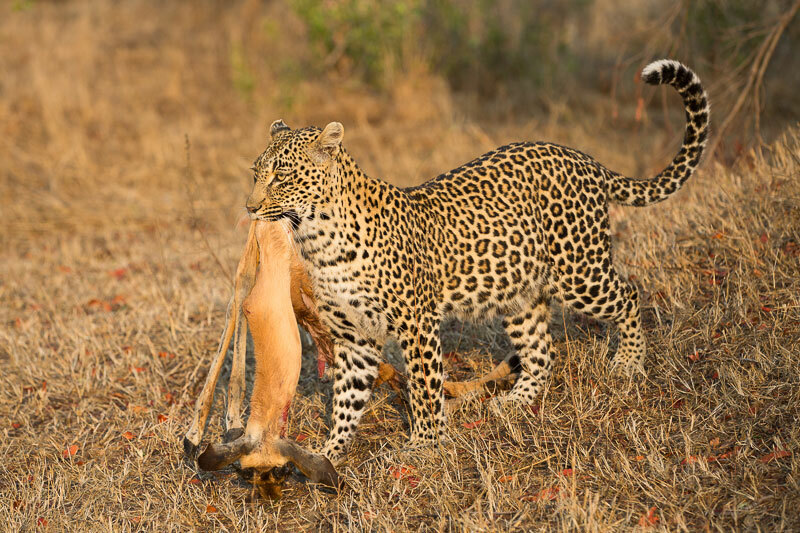 We even saw a leopard carrying her prey to where her cubs were hidden – it was nothing short of extraordinary! Bahauti, a young male, will have to wait a while before he can challenge the big boys. So how is it possible that you can see fifteen different leopards in one area in such a short period of time? The leopards at Elephant Plains are very used to vehicles. 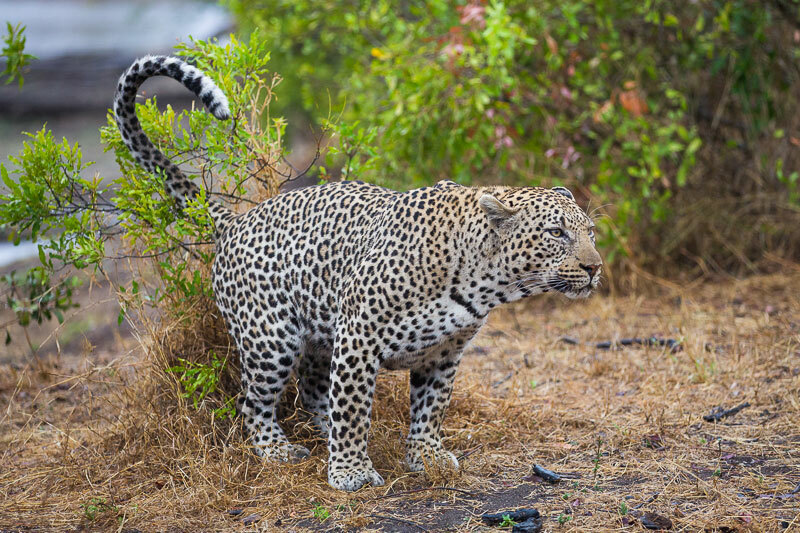 The Sabi Sands has a notably high leopard density – one of the highest in the world. 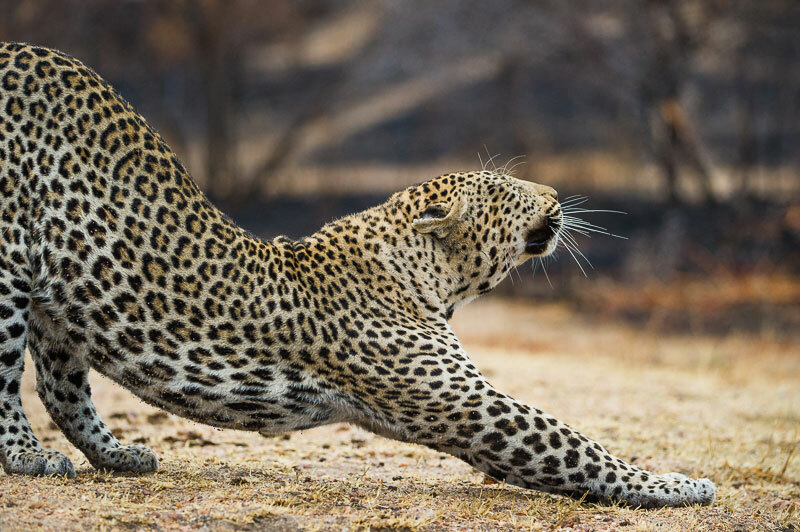 The reserve provides everything they need (prey, water, cover and large trees) in abundance, making it the perfect leopard habitat, and with all the lodges in the area they see safari vehicles almost every single day of their lives. As a result, they’ve because extremely habituated, allowing the rangers to follow them without scaring them away. 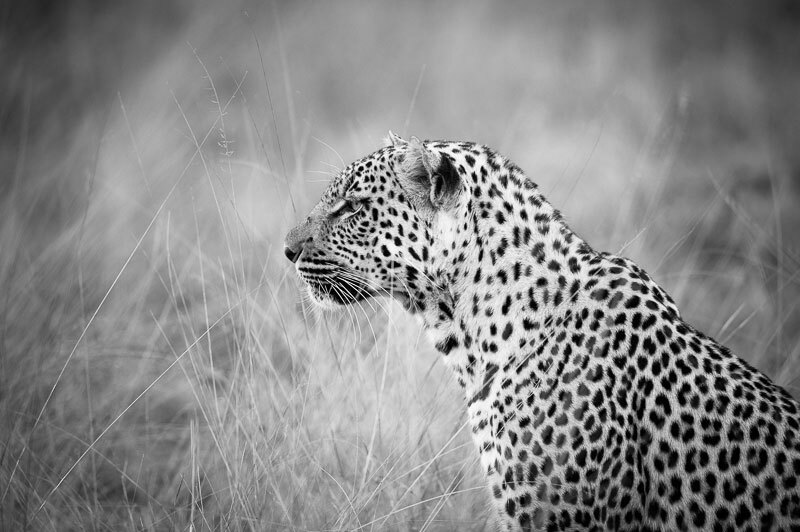 In many other reserves, leopards, which are shy by nature, will disappear the moment they hear an approaching vehicle. 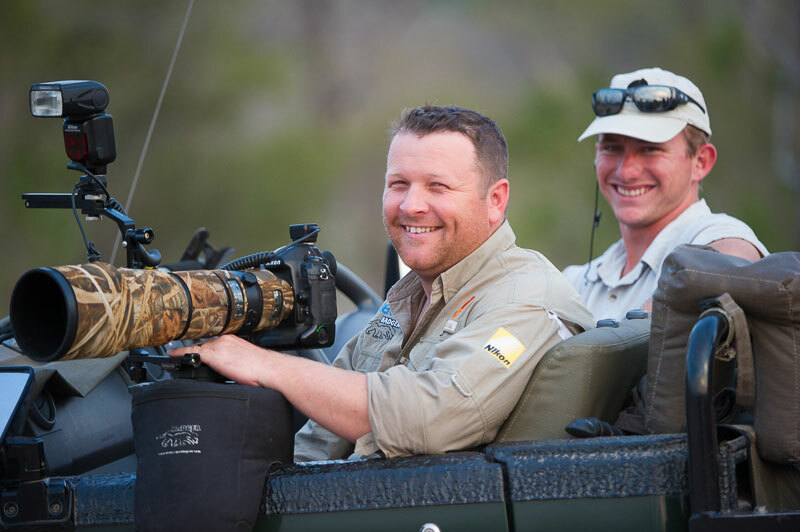 I’d also smile if I see ten different leopards in four days! 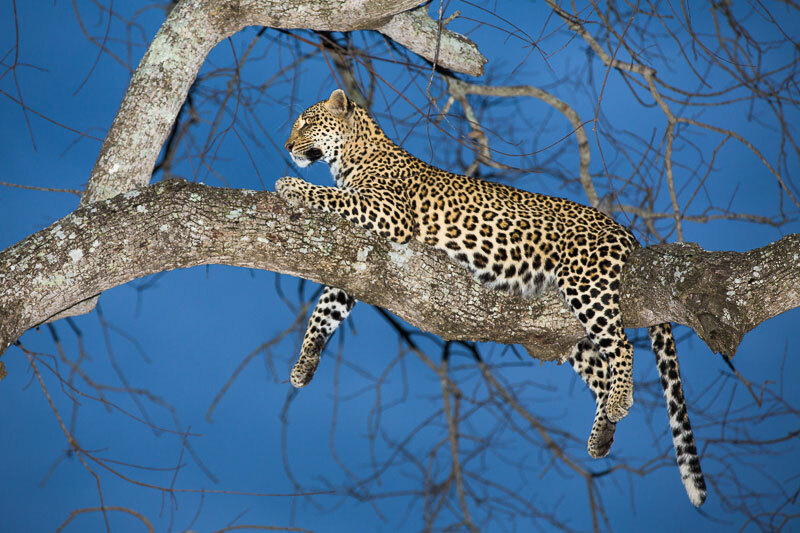 Two other factors influenced our impressive leopard count. Firstly, there was very little lion activity in the area over our stay – in fact, we didn’t see a single lion in eight days. With one of their main enemies out of the picture, the area’s resident leopards seemed less wary than usual. Lamula marks his territory next to Big Dam. Secondly, it had rained a couple of times during our stay. Since rain washes away their scent markings, they tend to be more active after a downpour. This is especially true for males, who spend a large portion of their lives patrolling their territories. The morning after the heaviest shower, we saw three different adult males scent-marking on one drive. Kwatile looks over her shoulder to make sure her cub is keeping up. If taking the perfect leopard photograph is on your bucket list, why not book one of the twelve Elephant Plains trips scheduled by ODP Safaris in 2015? 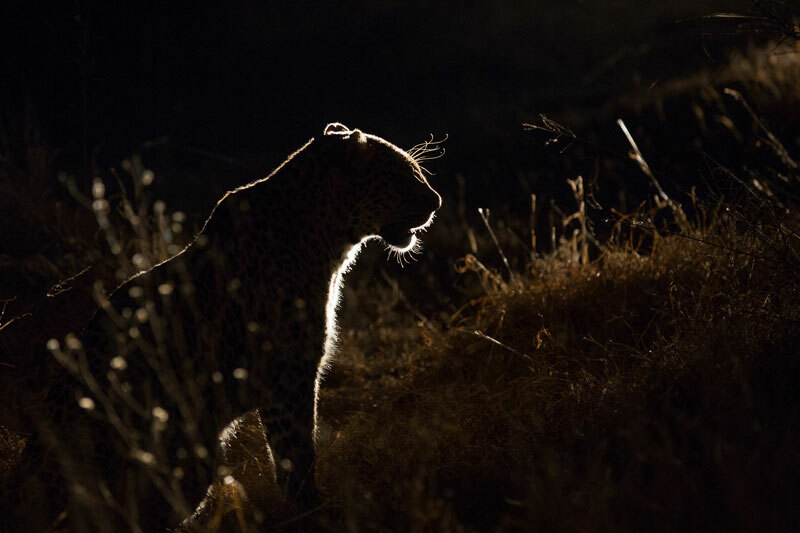 Getting backlit photos of leopards is always a safari highlight. Thandi carries off an impala lamb to where her small cubs are hiding.